He is now studying in 12th standard. Final exams of 12th standard is nearly going to over. He concentrates on his study during the examination period and do not diverse his mind in thinking about his career after 12th. He has qualified the 12th examination. Now it is the time to think over the career options & courses after 12th and many more related questions that are puzzling in his mind about what should he choose after 12th? Get Latest Career Notification about Courses after 12th, by entering your details below. You have chosen PCM group or PCB group or Commerce or Arts in 12th standard. It means you have chosen your area of interest. Do not surprise or tense. You have done your best. But yes, off course, if you wish to change your field for higher studies, you can go through many options according to your interest. A student having Art stream in 12th standard can pursue his further study in art, humanities, management, media, fashion, journalism and tourism field. A student having PCB or biology in 12th standard can pursue his further study in medical, pharmacy, science research and all art group fields. A student having PCM or Math in 12th standard can pursue his further study in engineering & technology, pharmacy, architecture, and all art group fields. And moreover, students from any of above streams can pursue their further studies in law, management, fashion, textile, social work and library science. Computer Science & Engineering is a rapidly growing field in engineering. It covers complete information about computer and computational processes. It is one of the sought branches of engineering. It provides good career opportunity for the science students. The popular work fields in CSE are database management, networking, core programming, web designing and software development. Civil engineering is one of the oldest and reputed fields of engineering. In simple words, it means the use of physical and scientific principles for the overall development of the society, of which physical structures is an integral part. It provides knowledge and art that directs human power in development for the convenience of human beings. It is basically the art of planning, design & construction of roads, buildings, township, port and every man-made design. The work fields are construction companies, city planners, mega builders etc. Mechanical Engineering is one of the oldest disciplines of engineering study. It involves the design, maintenance, analysis and manufacturing of mechanical system. There are lots of job opportunities in this field. You can work in production, manufacturing, development and service industries as an engineer in various domains. Electrical engineering is very popular field of engineering. It provides the knowledge of distribution and utilization of energy that runs our world. It is the field of great scientist “Thomas Edison”. You can work with the power grid systems, electrical & electronics equipment manufacturing companies. Electronics & Communication Engineering is one of the fastest growing disciplines of engineering. ECE is an interface of information technology and chip level hardware. It provides the knowledge of electronics devices and software application. All telecom and software industries are the work fields for the ECE engineers. It has a good job opportunity in private and government sector. Biotechnology is the combination of the knowledge of biology and engineering for research & development in the field of agriculture, medical and security. There are job opportunities in the field of animal husbandry, pollution control, disease research, development of medicine and pesticides. Electrical & Electronics Engineering is an emerging discipline of engineering study. It leads the knowledge of electrical engineering and electronics engineering in one domain. It deals with the generation, use and storage of power and energy. The work fields are all industries related to the power and electronics devices. Aeronautical Engineering is one of the best paid engineering fields. It includes the study of the machines which moves in the earth and in the space. Aeronautical engineering is the disciplines where we learn the mechanism of airplanes, airspace process, air shuttle & bullet trains. You can work with the government and private aviation manufacturing, research and testing industries. Agricultural Engineering is one of the reputed engineering branches. It provides the knowledge of technology which involves agricultural development and research. An agriculture engineer can work with agriculture research lab, agricultural enterprises, and botanical research lab and soil industries. Petroleum Engineering is the emerging field of engineering study. Petroleum engineering deals with the production, exploration and understanding of natural gas and crude oil. It is a good paid engineering discipline. A petroleum engineers can work with the drilling plant, rigs, petroleum industries, petroleum refineries and related organizations. Food Technology is the rapidly growing discipline in the field of engineering & technology. It is one of the most popular branches at present. Food technology involves the process of manufacturing and preservation of foods. It also involves the research in food science. You can work with the food MNCs and packaging industries as food inspector, quality manager, food auditors and production manager. Textile Engineering deals with the principles to control and design of fiber, apparel process, textile and products. It is one of the top positioned engineering branches. Textile engineering also involves the man-made and natural material, material – machine interaction, health conservation, waste and pollution control and safety. You can go for the textile industries which are the 14% of all industries in India. Chemical Engineering deals with the operation and development of the process for chemical and production of related substances. It is one of the good paid engineering fields. Chemical engineering involves the design, supervision, installation of equipments, workers and plant in related field. It is the combination of chemistry and engineering to solve the problem in chemical production. Management is one of the highly job oriented career field. It is one of the most popular field among the students. Management involves regulation and maintenance of overall functioning and administration of an organization. Management field provides responsible, challenging and respectful position to an aspirant who wants to work in the corporate environment. It has various disciplines & specializations and has opportunity for global employment. BBA is a business oriented course which helps the students in understanding the basics of business and overall management process. The students can choose this course after class 12th, if they want to make their career in the management field. The students can work in management firms, business organizations and IT companies. Business administration is one of the most challenging and respected job fields. It involves the planning, strategy, implementation, policies, design, administration, maintenance, control and structure of any business. It provides an individual an opportunity to showcase his talent in the corporate field and offers handsome salary as per the caliber of the individual. After the completion of this course, the candidate can choose the corporate sector, IT industries, manufacturing units, various corporations, and global industrial world. Marketing management is the oldest discipline of management study. It is the one of the highly job oriented specialization of management. It involves the market strategy, market availability, product compatibility, market research and market economy of the business and product. By the growing technology and computerization, digital market is also the simultaneous part of the marketing field. There are lots of opportunities to work with various manufacturing industries. Finance management is one of the challenging specializations in the field of management study. It is one of the famous management fields among the commerce students in India. Finance management involves the resources, expenditure and balance of the economy and capital for an organization. Finance department is the back bone of any industry and finance analysts, finance executive, finance manager and finance officer play vital role in an organization. Human resource management is another popular specializations in the field of management study. Human resource manager deals with the workers and employees of the company. The HRM plays the crucial role in facilitating and monitoring the connectivity of workers, training of employees, their salaries, issues, benefits, allowances and recruitment of new employees. It is a very responsible field. HRM manager can be hired in any organization wherein the manpower works. Today, the business scenario is not limited up to the national boundaries. The business is now conducted globally across the nation boundaries. Due to the rapid rise in the global business, the demand of the professionals is increased in various MNCs and reputed organizations who are looking to conduct their business globally. International Business management is becoming a popular specialization among the students day-to-day. It provides the opportunity to work with the global market. This field pays good salary to the deserving candidates who have excellent communication skills and are ready to work in a challenging environment. Operation management is a wide and broad specialization of management study. It overlaps some more specialization as HRM, marketing, retail, event and IB. It involves the study and managing method of an operation or operating plant. It helps in developing the leadership quality, methodology and managerial skills in a proactive candidate. The candidate having degree in operation management can work with any organization in any field. Event management deals with the planning and organization of events that may include parties, ceremony, festival and competition. An event manager can work where any gathering will going to be planned. It is one of the growing and demanding specializations in management field. It not only provides the good job opportunity in an organization but also helps in establishing a self-business. At present, retail industries are growing worldwide. There are many plazas, malls, shopping world, multiplexes and shopping centers around us. It is becoming a different world of our needs. Retail management deals with the management, storing, logistics and customer satisfaction. This field is a vastly growing field and having huge employment opportunities. Various international retail industries are demanding the qualified graduates in the same field. Career options or courses after 12th in medical field is one of the most asked queries among the students. The medical field is one of the respectable, challenging, responsible, top paid and highly job oriented fields in India. Often, the main motive of most of the students behind choosing Biology after 10th standard is to become a well qualified Doctor; but this field offers a vast number of career opportunities other than MBBS Doctor. The major working areas in the medical fields are healthcare industries, pharmaceutical industries, hospitals and research laboratories. MBBS (Bachelor of Medicine, Bachelor of Surgery) is the most popular and designated degree of doctors. The doctor is also treated like a God or life-saver in India; hence it is one of the most respectful profession in India. It is the only bachelor degree that makes the students eligible to carry the term “doctor” with their name. This field is always been an evergreen field in the medical history. In this course, the students are taught about the human anatomy, human cytology, medicine, chemistry, pharmaceutical chemistry, drugs formulation & effect and method of surgery. BDS (Bachelor of Dental Surgery) is the only educational and professional programme for dental surgery. The BDS degree is equivalent to an MBBS degree but works in a different domain. In medical educational field, this is the second choice of the students after the MBBS course. In this course, the students are taught about the denture, dental problems and dental surgery. It is also a good job oriented degree and vast jobs options are available in hospitals, pharmaceutical and medical device manufacturing industries. BAMS (Bachelor of Ayurvedic Medicine and Surgery) is the doctoral degree and can be done after the 12th Science (Biology). It is the bachelor degree in Ayurveda. It is also one of the sought courses after 12th among the science students having biology. It is equivalent to the MBBS degree programme. The ayurvedic medical treatment is growing in India. There is heavy demand of ayurvedic graduates in hospitals and in ayurvedic pharmaceutical industries. BHMS (Bachelor of Homeopathic Medicine and Surgery) is the doctoral degree and can be done after the 12th Science (Biology). It is the bachelor degree in Homeopathy. 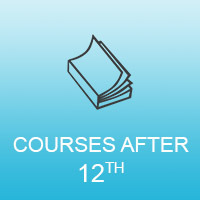 Beside MBBS and BAMS, it is also one of the popular courses after 12th. It is equivalent to the BAMS degree programme. The homeopathic treatment is one the oldest treatment adopted from the ancient time. There is heavy demand of homeopathy graduates in hospitals and homeopathic pharmaceutical industries like SBL, schwabe, etc. The science (biology) students who are interested in Unani Medical Science can go for BUMS (Bachelor of Unani Medicine and Surgery) course after 12th. It is the bachelor degree. Unani medical treatment is one of the ancient medical treatment. Beside, BHMS and BAMS; it is also one of the reputed medical field after 12th and equivalent to the BAMS degree programme. There is a heavy demand of Unani graduates in hospitals and in homeopathic pharmaceutical industries like Hamdard, charak etc. for this course Urdu is compulsory upto class 10th. The main motive of this educational programme is to produce the qualified and expert nursing professionals. Nurses are the members of the health care team. In this programme, the students are taught about the nursing and cure methods and techniques. After the completion of this course the candidate are free to work with hospital and healthcare organizations. Physiotherapy is the therapy that helps to rehabilitate the temporary disable people. It is a non-medicine or surgery therapy. The concept of the physiotherapy is to recover the temporary disability by physical exercise. It is a good job oriented professional field. You can go for the job in hospitals or can do the private practice. Occupational Therapy is the therapy that helps to rehabilitate the emotionally and physically challenged people. This therapy helps to make the life enable for such people. It is also a non-medicine or surgery therapy. The concept of the Occupational Therapy is to recover the emotional and physical disability by counselling and some practices. It is a good job oriented professional field. You can go for the job in hospitals or can do the private practice. In every science and medical field, there exists a lab. The career options or courses after 12th in medical lab technology are huge and provides ample job opportunities to the candidates having appropriate diploma/degree course in this field. In this course the students are taught about the analysis of medical test, microbiology, instrumentation and many other areas related to medical field. The students having science group in 12th standard have a choice of wide range of courses. The biggest advantage of science students is that, they can go in any field of their choice. The most popular career fields for the science students have already been mentioned above, but here we are also listing some other popular fields for science students. The students who wish to continue with the traditional science field can go for the B.Sc or B.Sc (Hons) degree after 12th (Science). Once you have done your graduation, you may choose the career in scientific research, banking, teaching, chemist, analyst, biologist, zoologist and management. After the completion of this course, there are various job opportunities in both private and government sectors. Pharmacy is one of the most popular courses after 12th science. There is a heavy requirement of well-qualified pharmacists in our hospitals, colleges and pharmaceutical industries. This programme has the maximum job surety rather than others. This course involves the subjects like chemistry, pharmaceutical chemistry, drugs indication & contraindication, chemical structure, new drugs development, formulations, analysis of chemical and drugs, handling and calibration of the instruments uses in pharmacy and research & development. Naturopathy & Yogic Science is one of the trusted fields after Allopathy in India. It is the oldest method for cure and prevention of diseases in the world. At present, it is not only popular in India but also growing rapidly across the world. The degree in Naturopathy & Yogic Science is an approved educational programme in India. Its study involves the use of medical treatment by using natural substances and herbal medicines. Dairy Technology is the separate branch after 12th science. It is a big field of educational study. It covers the technology that is used in the production, manufacturing, quality analysis, and research of dairy products. A graduate in dairy technology has the opportunity to work in dairy industries like Amul, Parag, Param, Mother Dairy and other food industries. The other advantage of this course is that, it helps an individual in establishing his own business. Biotechnology is the emerging field of science. It is one of the rapidly growing field that uses both biology and technology to develop the highly advanced medical products like drugs, medicines and medical devices. It is the technical & biological combined process to understand, develop, diagnose and research the diseases and medicines. It is a respectable and responsible job oriented field. Ones can go for the food & beverages industries, animal husbandry and agriculture industries after the completion of the course. BCA (Bachelor of Computer Application) is one of the popular degree in computer application. It helps in understanding the basics of computer programming, networking and database base. It is the gateway for the top job oriented MCA degree programme. The students are taught about the computer and computational process through this course. After the completion of this course you can go for the IT industries, application development industries and software development companies. Commerce is an essential part of the business that covers the economical part of the social, legal, technological and political aspects. It involves the activities of exchange the goods, money and services between the companies and persons. It has a few fields of specializations but very demanding and challenging. The commerce is a gateway for the finance and accounts world for all corporate sectors. The CA, CFA and CS are the professional job oriented courses after 12th (Commerce). The Bachelor of Commerce (B.Com) is a degree course done by a large number of students after their class 12th. The B.Com degree gives you complete overview of overall business scenario, this includes buying and selling of goods, also helps in understanding the underlining principles of accounts and economics. The students can opt this field if they wish to make their future in finance, accounts and management. Chartered accountancy was established in 1854 in Britain. It is the core activity of the business. A CA is the member of ICAI (Indian Chartered Accountants Institute) and deals with the financial management and carries out the financial audits. A CA works as a private advisor for an organization. After the completion of this course you can go for the work as auditing, cost accounting, tax management, management accounting, consultancy and CA can also work in an industry. Company secretary deals with the legal activities of any business. It is a corporate professional course. The role of a company secretary is to keep the records, advice, tax returns and evaluate the legal aspects of the organization. This course contains the three levels as foundation, executive and professional course. It is one of the eminent courses after 12th commerce. The students having art or science can pursue the CS course. The section art & humanities carry a range of various courses. This field provides a lot of career oriented courses that a student can pursue with any stream in class 12th. This field provides interesting and unique career options to the students of their choice. This field overlaps various another fields like computer, management and law. This field has good job and business oriented courses. Movie, media, animation, cultural art, choreography, painting, photography and cooking are some of the best options that a student can choose after class 12th. Law is the basic part of our constitution. It is the only degree course provided in India in legal education. It is one of the most popular courses among the large number of students. Law course provides the complete information about our law and constitution. It covers the civil litigation, legal analysis and document drafting. After the completion of this course the candidate can go for the private practice in court. You can be a part of juries and can play a role as the public prosecutor. After some experience one can also start his own consulting firm. Animation is one of the most popular courses for arts students. If you have creativity and skills then this field can provide your ample opportunities. Animation involves creation of objects with computer graphics whose movement or shapes changes continuously. It works on the principle of displaying simultaneous frames in a quick span of time. The most popular courses are 2D and 3D animation. After the completion of this course, you can be a part of movies making, ad making companies, animation and cartoon industries and various other digital works. By the modernization of the world, the fashion is an integral part of our daily life. The trend in fashion is changing with the advancement of human culture. Various industries have been established for this purpose only. There is a great demand of fashion experts; not only in India but also in abroad. Fashion study covers the design, fabric, texture, quality of fashion goods, manufacturing process and creativity. Fashion is not only means the wearing but also means the wearing and makeup. This is one of the famous courses among the students who are creative and want to contributes to the rapidly changing fashion industry. Visual art means the creativity which can be seen by eyes or senses. It is also defines as the decorative form of art. This aspect of art covers various small and big courses. It involves the study in painting, drawing, sculpture, photography, conceptual art, architecture, weaving and fabrics. It is a branch of applied arts which have wide scope and career opportunities for the arts students. Literary art is a branch of fine arts. It is famous among those students who are creative, imaginative and can convert their imagination and thoughts into textual form. The students who are interested in writing, can choose the career in literary arts. This aspect of art includes poetry, novel-writing, short stories, epics, writing and script writing. You can choose the career as a writer and publisher. It is one of the top chosen fields by art & humanities students. Performing art is the part of fine arts. It involves all the activities and studies related to the music, theatre, dance, singing, acting, comedy, direction, choreography, editing and martial art. It is the basis educational study for ones who wish to make their career in the film and entertainment industry. Aviation is one of the most interesting career fields among the girls. Anyone who wish to fly in the sky and server the people with smile this career can fulfill their dream. Aviation and hospitality management cover the ground and air courses of air hostess and flight steward. It involves the hospitality, customer handling, travel & tourism and aircraft basic training. The course of aviation and management is full of glamor and attitude. After the completion of this course you can go for the hospitality organizations, airlines industries and many hotel industries. Hotel management is one of the big employment industry in the world. There are a lots of opportunities to work within or after the completion of the course as a manager or executive. It is a professional work in service sector. It involves the management of desk, services, kitchen, catering, bar and hospitality. Chef is one of the popular specializations in catering. After the completion of this course the students are generally employed in the hotel industries, cruiser ships and can even start their own business. Mass communication covers the fields of media, journalism, films and ads. It involves professional degree and diploma course and provides good job opportunities in various fields like journalism, anchoring, news channels and tv shows. You can go for the media, news reading, editing, journalist, surveyor, social works and many related industries. The scope of mass communication is increasing everyday with the growing scenario of media popularity. By the globalization of employment and employees, the trend of academic courses in languages study has been boomed. It is one of the job-oriented courses chosen by the students after 12th. This course provides a lot of opportunities as a translator/interpreter in many MNCs and government departments. The students who wish to pursue this course, they have to select the language of their choice. The course contains the origin, tradition, culture, study & research and complete knowledge of the particular language. Wish you all the best for your future! Can I do IB management after ma10+2? ?how many years it will take to complete the courses?? some of the institutions offers integrated management course after 12th which takes the duration of five years long. Is B.ARCH possible after 12th commerce?? thanks sir for your advice i m also thinking about CS… it is great option for me …. I m a current cbse 12th student. I m confused of what to do after it. I had chosen PCB. now it’s near the end of school life. I m sure of getting 85+ in boards but not so sure of being selected in AIPMT. could u suggest me some college which take admission on the basis of class 12th result or some other one which can give me admission easily. a college in Punjab or in nearby states like haryana will be appreciated. please tell about fee structure and forms also. what is the scope of going in ICAR. For admission in the top colleges of the state you must have to appear for AIPMT exam, if you are not sure about your preparation in AIPMT, you can take admission under management quota. I don’t think there are any such colleges which admit students on board percentage basis, but good percentage in your board examination will always be helpful for you. Hi all, please give me suggestion whether B.Sc corss. or engg. Corrs. both fields are hard to study without attaining the practicals regularly. if it the matter of choose one out of the both, then B.Sc will be OK.
I’M student of class 12th CBSE BOARD.. Which carrier I should choose??? it depends on you. choose the career of your interest. if you are sound efficient in maths and physics then choose the engg or if you are good in bio and chemistry then choose the medical side. Hi, i’m in 12th pcm group, m totally confused what 2 choose after 12th. I’m good in maths & physics but not in chemistry, and I also have good enough knowledge of computers. So, what should I choose after 12th for better career. instead of chemistry you may have computer in graduation but maths and physics should be there because these are your strength subjects. Practicles also makes man perfect but theory increases your knowledge that why keep you ahead in theory also by hook and crook. it will be your good help. I could say that do something this and that but un-meaningful because theory is must. Biotechnology is a good career field. it is a hook between the medical and technology education. the candidates who have done the course can get the job in both sectors. I am doing B. Com final year n thinking to do MBA. Plz suggest me, shud I go for MBA or Can do MCA also ? Can I also do diploma in any field besides MBA or MCA ? Plz give your suggestions in detailed mannered..
A degree is always good than the diploma. now what MBA or MCA? it depends on you. if you are much capable to drive the computer and interested in then choose the MCA but if your leadership skills or managerial etiquette are potential then choose the MBA. BPT,BOT or Bsc nursing me se best scope or best salary kisme hai.plz reply fast. Each of them fields has a special and different work. No one can say. best scope and salary depends on one performance. but still B.Sc nursing has more job opportunities than the others. hanif khan sir ,ur fb id plz? what is the date of filling of application form of NCHMCT? NCHMCT conducts so many courses as diploma, graduation and post graduation. for which one you need to know. helo,,i want to do hotel management from NCHMCT,is it will be a reputed job? so i wish to you ask you that a degree can change my life and tell me the name of degree and job profile. An education never fail. you just have to click right job at right time. after all you have had M.Com. you can get the job in commercial department of any industry as an executive. better you do the MBA in accounts or finance. what will be the status of Mechanical engineering course and job availability after 4 years..? Read this article on Mechanical Engineering..hope this will solve your doubt. Cabin crew has good scope and salary wise it is a good career, but you must choose a right institute that offers placement after the completion of the course. I’m a student of class 10th. And m really confused to take any direction for my stream divide after 10th. But in my school there is a stream of Hotel Management and i wish to go for it.So, Plz give me info about the scope in HM and job opportunities. You are very young to choose a particular field, I advice you to first complete you 12th and also recognize where you are interested, which career suits you best, consult your parents or you can also take help from a career counselor, surely they will help you in solving all your doubts and confusion regarding courses and career options after 12th. Hello sir, I am Pamita .I Completed my higher secondary in 2011. and my subject of h.s is Biology, Nutrition , chemistry and computer application. I tried Nursing but i Cant do that course. Now i m looking for a suitable course for me in Kolkata. can you suggest me please. Hi Pamita, you have medical side subjects. It will be fine for you if you choose the medical field but it depends on your interest. you may choose the Nutrition & dietitian or biotech or chemical field. You can choose from the above mentioned courses, we have provided complete details about the courses and job opportunities in that field. See which field suit you best and where you are interested, you may also take the help of a career counselor for the same. I am a PCM student. After 12th i wish to go for BA,MA Economics. I am good with languages and have good writing skills according to my teachers. Plz give me info about the scope in these subjects- Economics and Literature, job oppertunities. you have PCM which is a great combination for career and opportunities, but you have chosen economics and literature???? no matter, if you really wish to find the career in literature and economics then go for it and after the completion of your degree you may get the job in private and government sector as in banks, finance department, institutions (as teacher). For doing BCA, you must have Mathematics in class 12th. Which course should i select after 12 commerce. If i have chossen maths. with maths you have so many options. you may select the B.Com/CA/CS/BCA/BBA. depends on your interest. Now you see that in which stream you are much potential than the others. commerce is the best for career success. while medical have just one good option to become a doctor. after the completion of your plus two examination you may go for the BA in fashion designing it is a three year bachelor degree programme offer by various institutes across the country. To get the course from the reputed institute you will have to appear the entrance examination conduct by the particular institute. Some of schools are as the following. Hi, can u tell me about hotel management course ?.. How about salary of thiz.. ? to get the detail about plz click on the Hotel management and catering link. I think you have completed your BA. as you told us you are dealing with retail market. now here is a great option for you. just do the MBA in Retail Management because this field has a good career scope and more over you have the experience. you can do it through any mode either regular or correspondence. you have good subjects. If you wish to get admission in business management then no worry, you need to start your career with BBA or BMS. You may get direct admission to any institute which is offering the BBA. simple. Hi, this is the most informative article I have come across to help students like me so many thanks for putting up a such a brilliant article. After reading this I realized that I want to make my career in hotel industry and therefore, I searched a lot about best universities and colleges and enrolled in one of the top institute of HM, but your guidance has really helped me in choosing the best career field for me. Thanks again for this info. i m like to do some proffessional courses like banking and insurance, company secretary or bms i mconfuse what to do from these 3 courses please sir give some suggestion for my bright carrier please…. please tell me sir which course has more scope today…..
Now you have three options to choose as BMS, CS and banking and insurance. all three careers are good and have their significant value. all three have good scope in today’s market. it will be not justified that to distinguish among them. noe you have to evaluate them by different scope. by banking and insurance you will get banks, policies companies, morgage companies in priority base. by CS you will get a decent job in any company. by BMS you will have to deal with competition to others like MBA, MBM, MFM. so in my openion CS is good. it is also a booming career around the world. I am currently in class 12 and in march 2015 is final exams. I don’t know what to choose since I don’t my interest. I am PCM student Can I choose computer science as a career without doing jee although I have not read computer subject after class 8. I would like to ask that can one become professional only by taking computer science. I totally confused when people say what you will do in future. I have already changed my dream since my child hood. please guide me to make a better choice in life. one comment cannot change or guide your life. you better visit to consult your nearby career counselor. sure you will get more ideas and we hope that you will find the best of your career. good luck. It was a great read! Please keep coming up wih such more info in future. Sir, i’m interested in Automotive design engineering from UTM university. As far as I inquired this program intends trains the students on a range of topics including designing, manufacturing and maintenance of automobiles. The curriculum includes imparting knowledge on the related aspects of the transportation sector, energy and environmental concerns, application of fossil and alternative fuels and development of vehicles of the future. This is what I know before joining this course, it would be great if you provide your valuable guidance on this specialization. Thanks! thanks, will update you soon. I m in class 12th from maths group….. n i m really confused what should i do in future n i don’t want to study ahead from this subject…….. i want to do something commercial. See in which field you are interested…..then choose the best from the above mentioned courses. Hey ….i am a pcb student of class 12 th but want to change my field after 12th . I want to go for psychology as my main subject. I would like to know what other subject should i opt for as my ultimate goal is to be an IFS (foreign services). you can choose any graduate courses but make sure that you have to study hard and start preparing early to become an IFS officer. don’t be confused. you are on the good track. because you have given your one year to B.com, so keep this going on and complete the degree first. then you will have some great options like event or tourism or any management. may be you would make your mind for finance management. besides these you would have an option for MFM (master in financial management. really it has a good scope after MFM. if we will talk about the comparison between tourism and event management, then both are ok. you may choose any one out of these two careers. will u plz suggest my anyother course..or i should go for preparations of UPSC exams..m i going right..!!! you may opt many one year or six months certificate or crash courses in the field of accounts, business, finance along with your degree. such courses will garnish your degree. UPSC is good option. if you really wish to prepare for that you will have to throw the first concept from your mind. because it is not possible to get the three studies in one time. choice is yours. Hay| i ma a house wife, i currently work as a data entry oprater, but want to learn more MBA course. my age 34 yr.So pl. suggest me how can i do this course. age is no bar if you are doing MBA through the distance education. select a branch of MBA like MBA in marketing or finance or IT or TQM or etc. various universities like SMU, IGNOU, symbiosis, ICFAI offer the MBA courses by online application form. visit any of your choice university and get the application form date and apply on time. sir i have completed my diploma on the basses of 10 diploma in electronics engg and at present i m doing BE 2nd year in electronics after completing BE i will get a job in software company which i don’t want to do. i m planing to do hotel management on the basses of 10th but my family is not allowing me and saying, “u will be wasteting u r 4 years which u have spend for doing diploma n HM does not have a good career option in India u will have to work very hard in HM field”. is it sir, sir i m interested in both electronics n HM but after doing BE i don’t want to do job in software company because of this reason i m thinking to change my field in HM n i m confused now what shall i do now shall i continue with my BE or go for HM. plz help me sir plz. all fields are good but listen carefully. jobs are not divided equally in each field and off course not easy as well in any field. now in the respect to your question, you have given your around four years precious time to your engineering and the best part is that you have chosen one of the best fields as electronics. now you really need to think. in coming years every country is expecting to develop their technology. with this boom engineers would be in more demand than the other trades. don’t give the way to such thoughts what you have. complete your BE and find the career. it is not mandatory to work with the software company after completing the BE. if you have the guts you may have develop your own software. JEE Main is a good platform to choose the best career. in this case you may counsel your family or get their opinion that what they wish about your career. try hard to crack any examination. do not spoil your precious time like this. career is your thus choice is yours. I am good in Accountancy and a little in Economics so somebody please tell what should i do after 12th. you better go for the CA. sure you will have a best career. Please help me, I want a good stream after commerce of 12th with a good scope, i have always been an average student I am soon to end my 11th standard… i dont have really specific intrests but m quite better at accounts than others….. What is the best thing for me to do now?? I m Very less inrested in math…. Suggest any with a good income…… it would be great if u cud help…..
depends the combination of subjects what you have in 12th. sir my name is D.ibrahim khalil my age is 22 and i am just an 12th pass. i completed my 12th in 2008-2009 after that i went to CA and after some attempts i am not able to clear it .. so i quit that course and now i had no idea what to do…? i wasted this year of trying job with 12th qualification so please kindly suggest me any course…..
You can go for BBA, B.Com, company secretary program, BBS etc. some of the other job oriented courses are HM, Mass communication, computer courses,etc. I have given my 12 std exams. i am interested in Art and drama career. would you like to suggest me which field i should join? my parents wish is for industrial safety and Fire engg. In that case i would like to suggest you about your parents opinion. you have also chosen a good field but there is much competition and less opportunities as compare to the fire and safety engineering accordingly. after all every thing is depend on your interest. choose the right one because once the time left it never come again. what I should do …fashion technology or b.tech..after 12th.. It depends upon your interest, if you are interested in fashion technology then go with it, otherwise engineering is a good option for higher career prospective. Hi frnds.. I m totally confused what shud I take after 12. I HV taken up science fr 11 and 12 and I don’t wanna continue it. I m thinking abt taking up bba. What wud u guys suggest. P.s- I m confused wud my area of interest BT its definitely not science. Plz help me. fashion technology is not too easy , bro ,,you have to pass an entrance exam to get a good college for both b.tech and f.tech..
if you think you are 100% in arts and drawing,, and if you are among one of the good artists ,, then you should go for f.tech..
How a girl can become a ground officer in Indian airforce. i really appreciate that a girl wish to join the Indian air-force now there are three branches in Indian Air Force such as flying branch, technical branch and ground duty branches. Girls can apply for various posts available in these branches through short service commission. i passed +2 by securing 61% in management and i want to join further study but still i am confused what to study. i had deposit some little money in the college to book the seat for program BIM by my fathers advice . but i didn’t want to study this and also BBA,BHM,BBS. i want to study some technical subject. so i become in confused either study BIM or not. If not what to study . please suggest me……….. If you have taken admission in that course than go with it and also look for some side by side professional courses like web designing, animation etc, If you don’t want to pursue the course you have mentioned above then you may go for technical courses like BCA, but you must have Maths in your class 12th. I m in 12th & I m very confused about my carrer after 12th so please suggest me sm options…. you have many options as per given in this article. you just need to choose the one as per you interest. first you see all options and then select three as of your interest then compare as per the present job market and job profile and click the one out of these three. thanx for the much needed info. still i need some of your sugestion mohit. my daughter is in cls 12 with pcb group. she does not want to do engineering .plz tell me if there are any other fields esp. mass com. etc. for girls from ukhand. ur suggestion plz. First ask your daughter where she is interested, if she is interested in medical field, then some of the best courses in medical field are MBBS and BDS, if she is not interested in medical then some of the professional courses like Fashion designing, hotel management, Mass comm., foreign language, Aviation, Law may have good scope ahead. Hey i m doing 12th from commerce side i m little bit cnfuse in choosen of courses in future plz suggest me what i do business management course or law?? to choose the course is the subject of your interest. we can only give you suggestion. both options are quite good but the nature of both field is quite different. now you have the choice, whether you would like to be a corporate employee or advocate (most probably). if you have a sound interest in indian law and you can work as a freelancer (advocate) in any court (while there are some option to become a legal advisor with any firm) you may go with the law. otherwise in my opinion business management is good for you. In that way the matter is clear in my opinion. you better go for the industrial design because if you go with the architecture you would have to deal with construction just like a civil engineer which is out of your interest. See both the fields are good and Unique and has got great opportunities ahead, but i feel Architecture is a broader field and it is the basis of other field like Industrial design etc, As our countries is approaching towards development, their is huge demand of skilled architect in the industry, Mega cities, Urban development, model cities are fastly emerging in the developing country like India, so it will surely have a great career scope. On the other hand Industrial design is also a good and opportunities do exist in this field too. Hello….I m good at drawing and having commerce stream….I get good marks but i m not interested in commerce….wht is good for me when my drawing is good after 12th??? Hey Umang, In my opinion you should give the preference to your interest. if you are also sharp in commerce then you need to compare between commerce and drawing. obviously drawing has many career options. I am a PCB student. I completed 12th in 2013 and not get any admissions till yet, my 2 years got wasted what should i do so that i have good career in future. How a girl can join Indian airforce as a ground officer. A girl can join Indian Air force after completing graduation, you can appear for the CDS examination in the final year of your graduation. The exam is held twice in a year. Nicely put information to students who are actually confused what to do after 12th!! I would only like to add to this some new courses that are run by very few universities in India. Like Petroleum engineering, Automotive Design engineering, Engg. in Oil and Gas and Sports Mgmt.. these are some of the programs that are in huge demand world wide… so I would advise to you check them out for better scope in future. Yeah, list list of courses helped me also. I am thinking of choosing computer engineering….. I am interested in politics but I don’t want to be a politician. I want to become a ground officer in Indian airforce. What should I do. And what subject I should choose. I have interest in science also. If you are looking for a career in air force, then you may have various entry options in Indian air force, for eg. after passing class 12th you can join air force in a technical or non technical group. You must visit our article as NDA and CDS. i am pcb student but i wish to study bcom is it good….? Hey John, everything is good if it is happened as per your wish. B.Com is a good field of highly opportunities. obviously it is good. to become a doctor it is mandatory to crack the Pre medical test or NEET UG. I have to choose micro biotechnology course because it has good scope…. I am pursuing 12th with PCM. All of my friends are thinking about B.tech or B.Arch but I am interested in aviation industry. I’m a bright student and expecting 8+ grade in 12th standard. Should I go for aviation, I mean, it’ll be a right decision for me or not. Any help will be appreciated. Aviation is the great field and has got bright career scope, but honestly speaking Avaition industry is experiencing a downfall in the last few years, most of the companies limited their job openings for freshers and some have expelled their employees due loss in business. Our motive is not to discourage you, but to make you realize what is the current scenario of the market. so we advice you to look all the career fields once again and choose the best course as per your interest. Yes i do agree with mohit i want suggest my friend experience she completed her bsc . During bsc for three years she did preparation for CAT then she pass out from IIM mow her salary is 30 lakh per Annam. Pleaze tell me, in which field you completed your’s Bsc ?and how is the process for joining IIM? As you can see in the above article, we have listed all major career fields for the Science students with biology. MBBS is one of the best field and will surely have the best future, other options for you are BDS, BAMS, pharmacy, BPT etc. Now i am studying 12th. But i had an idea to chose my carrier options through this website. Thanks for the opportunity . Keep on going don’t leave this work. You can also give some instructions to face our life in different jobs. Hi, after reading the above article completely now many things are clear to me. I want know more about b.tech in IT after 12th class. I’ve completed my B.Sc and currently pursuing M.Sc 2nd Year. Let me know about the further scope of M.Sc (Physics). Helloo sharma Ji.. M.Sc (physics) has great career options ahead, you can pursue M.tech or MBA, or apply for various scientific and research post in ISRO, DRDO etc. me scince student but i am confused mujhe aage bsc karna chaiye plz advised…..
Hi gys…is b.arch good option after 12th? yes B.Arch is a great career option and has got good scope in the future. If you are interested in architecture then go for the best institute in architecture which will enhance your chances of getting placed in good companies after the completion of your course. Hey Hi Mohit , I wanna suggestion from your site for my friend. Can you contact on my number? please clear my doubts …. some one ….. Check how to became scientist. Does BBA C.A HAS Scope in future???? yes, of course, the BBA comprises of the business study and CA usually works with business. if you have done BBA CA means you are very strong in your field. So, you have a good future with this domain. yes you can appear in CAT, for admission to top management colleges of the country. Hi guys, I’m interested in air hostess short term course. Somebody please tell the available courses after 12th standard and the scope in aviation field. Yeah, this list is really great. But I want to learn more about the professional courses you’ve listed in the above image. I want to choose fashion designing. Is it having good career scope? yes, their is good scope in this field especially if you are a creative person. Yeah, list list of courses helped me also. I am thinking of choosing modeling field. But instead of modeling I wanna do another thing like bsc, is this the ryt path for me. PLZ FRIEND GIVE ME DETAILS ABOUT MODELING SO PLZ EMAIL ME. I was looking for a complete list of available courses in science stream, but did not get complete information in any website. Finally I got this website with complete information. Now after reading all the stuff, I am thinking about going in engineering stream. What are your suggestions? thanks a lot for providing such information.i was very confused about my career before reading thise. but after getting these knowledge i have confidently decided that i want to go for mbbs.and if i cant selected for mbbs then i will go to bams. i am decidede these but i want to ask that after bams what can i do forward. enginnering is the best field to work. i think medical is better as your wish was in those field……..
You can check Pharmacy courses for details.